One of the fastest-growing and evolving genres in Christian music is the world of rap and hip hop. 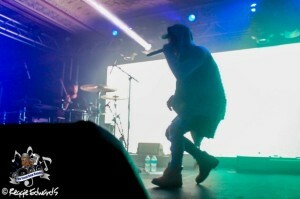 Over the years, it’s become more and more real and emotional, leading to the emergence of a whole new breed of rappers. One of those who’s risen to the top is NF and his sophomore record- Therapy Sessions has already hit no. 1 on the Christian charts and is the second straight to do so. 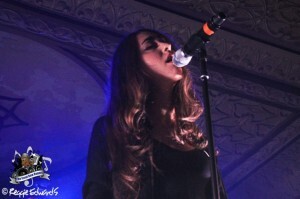 He’s hit the road in support of the album for the Therapy Sessions Tour with direct support from electronic pop artist Fleurie and the tour recently hit Indianapolis’ Deluxe venue at Old National Centre for a show that was sold out and filled over capacity. Fleurie is fairly new- especially to the Indianapolis crowd and she opened the show with a set that was a bit slower than they would get with NF. Vocally, she may be one of the most underrated artists around today and her potential is overwhelming. With just her and a drummer, her electronic style is one that makes you really pay attention and draws you in, feeling every note and every moment. Not long after she wrapped up, the lights went down and the crowd began screaming with excitement. When the lights went back up, NF exploded onto the stage with such intensity that it was like watching a caged animal unleashed for the first time. Everything NF gave to the crowd, they gave right back with even more power. With NF, you get the vocal style of Eminem mixed with the realism of Tupac. NF doesn’t just go out and rap- he touches on some very serious issues and has a purpose. If any word can summarize NF, it’s emotion and truth. He feels what he’s talking about and he wants to make a difference in the world. Going into the show, if you didn’t know who NF was, you left with him being one of your favorite artists. 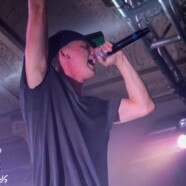 With two albums out and both hitting the top of the charts as well as a growing fanbase, NF is on track to take the throne of Christian rap very quickly. After this tour, one thing is for sure- the future is here, the future is now, the future is NF.